Not everyone has the time, or money, or both, to join their local box. But this in no way means you can't start into Crossfit at home. All it takes is time, ingenuity, a little bit of money, and the internet. There’s no reason anyone can’t give themselves a decent set up at home. One that caters to their goals and gives them sufficient options to complete most, if not all, WODs. 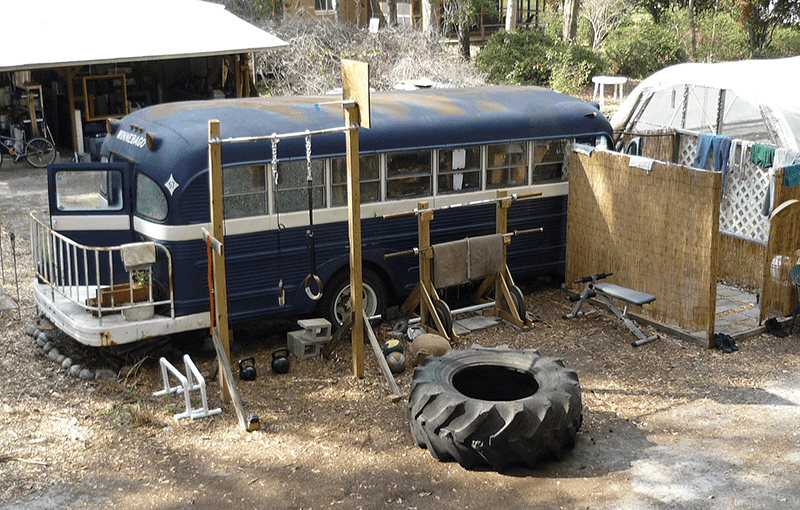 Remember, one of Crossfits major advantages is scaling, so with that in mind, lets run thru a few basic tools that can get you on your way to owning your own backyard box. 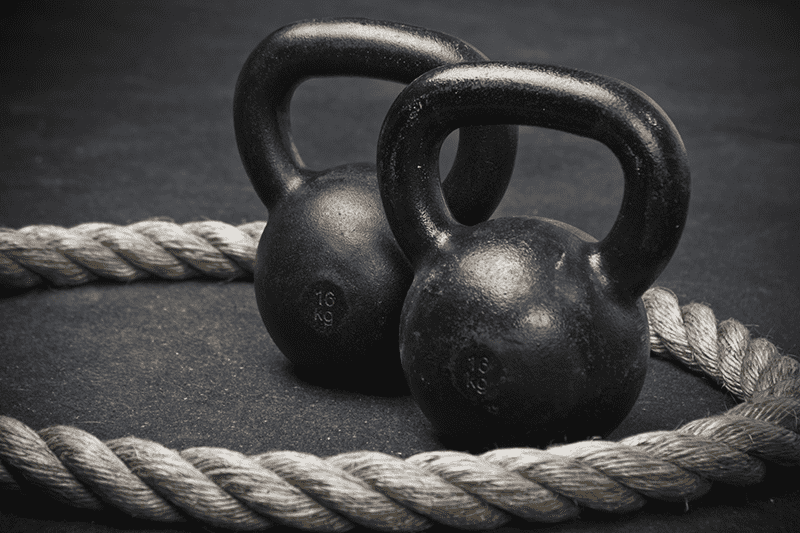 Even starting with one kettlebell will give you a host of options for work outs. Besides the obvious swings there’s always Goblet Squats in place of front or back squats. 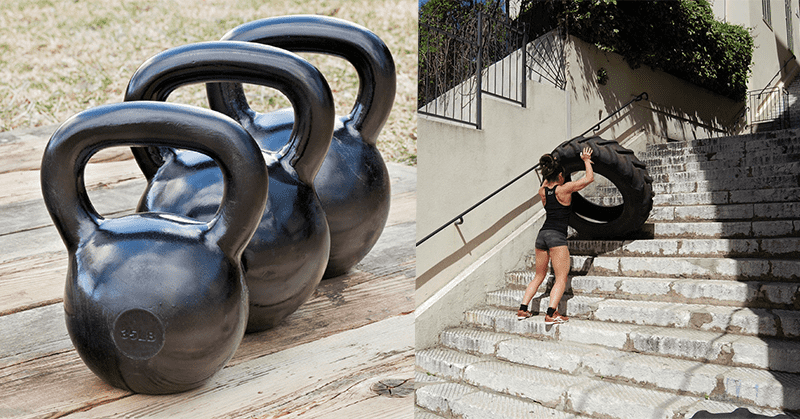 There’s KB snatches and cleans for those Oly Lift workouts. Or Good Mornings for those GHD Back Raises. Let’s not forget it’s a great warm up tool. I’d love to have a full rig at home for pull ups and T2B and such, but I can’t. But I have a side alley, and that means I have room for a pull up bar. But for those of you that don’t have an alley, there are doorways in your house, right? Now you might not be able to do kipping pull ups, or muscle ups in your doorway or alley, but strict pullups and knees to chest or L hangs are all possible with a door way setup or a wall mount bar. And don’t forget that mother nature makes some great pull up bars. A strong tree limb will always work. Now some of these can get pretty expensive, but have a look on an auction website that rhymes with teatray, and you’ll find both new and used ones that will help you on your way to workout bliss. A naked bar is just what you need for thrusters (we all love em don’t we?) or back/front/overhead squats, and with a lil help from YouTube, you can start on those all important lifts. If you wanna learn double unders, you gotta start somewhere! Ab mat, assistance bands, medicine and slam balls can all be found for a really good price if you look around the net these days. Now this is a list of stuff you can find pretty cheaply on the internet, but PLEASE let’s not over look what you already have at home. I’ve been known to use the front steps for box jumps, and burpees can be done anywhere, just like air squats, press ups, and sit ups (with or with out ab mat), and sprints. If you look around the net, you’ll find all kinds of ingenious solutions to your fitness problems. Websites like YouTube, Instructables, and Reddit have all kinds of posts from people on building everything from squat racks,to plyo boxes and lifting platforms. Don’t let the cost of a box membership or equipment derail you from your fitness goals. 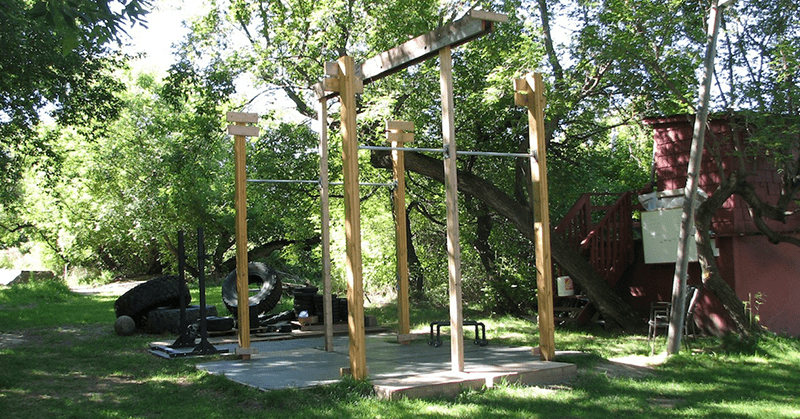 With a lil money in the bank, and some thoughtful planning, you can build a pretty formidable back yard box that will most certainly get you on your way to Crossfit Success.